Americans love to collect…anything. Often called, “America’s attic,” The Smithsonian Institution has a long history of collecting, archiving, storing and displaying items from our history, culture, and society. The vast archive of artifacts range from historical (Abe Lincoln’s stovetop hat) to quirky (Archie Bunker’s TV chair). I wrote recently about collecting architectural fragments and it seems even the respected Smithsonian Institution has pieces of materials from monuments and historical places. Items include stone from Joan of Arch’s dungeon, a piece of the Washington Monument cornerstone and a wooden sliver of the tie that completed the transcontinental railroad. A new book, Smithsonian Curator William L. Bird Jr., highlights fifty items from the museum’s collection and their quirky back stories. Souvenir Nation: Relics, Keepsakes, and Curios from the Smithsonian's National Museum of American History According to the book’s promotional material, “Buried within the collection of the Smithsonian Institution's National Museum of American History exists an astonishing group of historical relics from the pre-Revolutionary War era to the present day, many of which have never been on display. 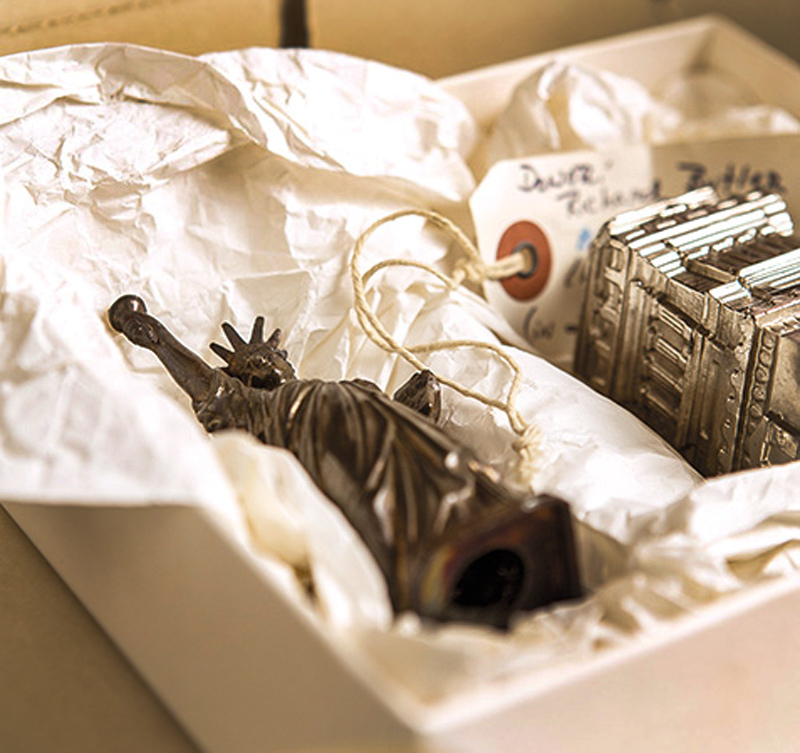 Donated to the museum by generations of souvenir collectors, these ordinary objects of extraordinary circumstance all have amazing tales to tell about their roles in American history. 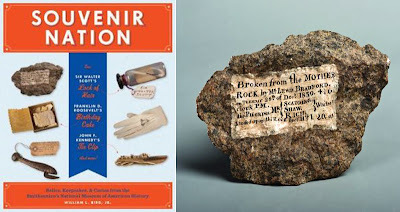 Souvenir Nation presents fifty of the museum's most eccentric objects—from a chunk broken off Plymouth Rock to the magnifying glass used to examine the infamous hanging chads of the 2000 presidential election. Smithsonian curator William L. Bird, Jr., regales us with the story of each artifact's origins and the quirks of fate that brought it to the Smithsonian. Strikingly photographed, these curious objects form a uniquely American narrative: a cabinet of curiosities representing our nation's most fascinating individuals, both celebrated and obscure, and the keepsakes they left behind. Other objects at the Smithsonian include a lock of Andrew Jackson’s hair, a dish towel used as the flag of truce to end the Civil War, the microphones used by FDR for his Fireside Chats, and the chairs that seated Nixon and Kennedy in their 1960 television debate.” Many of the objects have never been exhibited, but for the first time collectors will have the opportunity to see them in an exhibition planned for this summer, 2013, in Washington, D.C.’s Smithsonian Castle.